Phillip Ramirez Jr., left, with his bike. 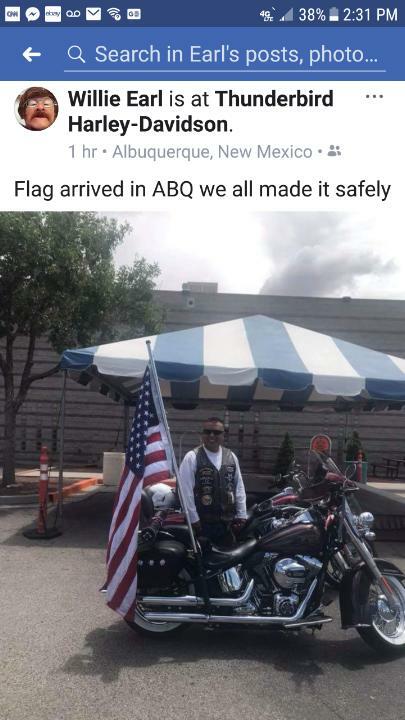 Phillip J. Ramirez, Jr. says he's ridden around New Mexico on his big and shiny Harley a lot lately, and all for worthy causes. 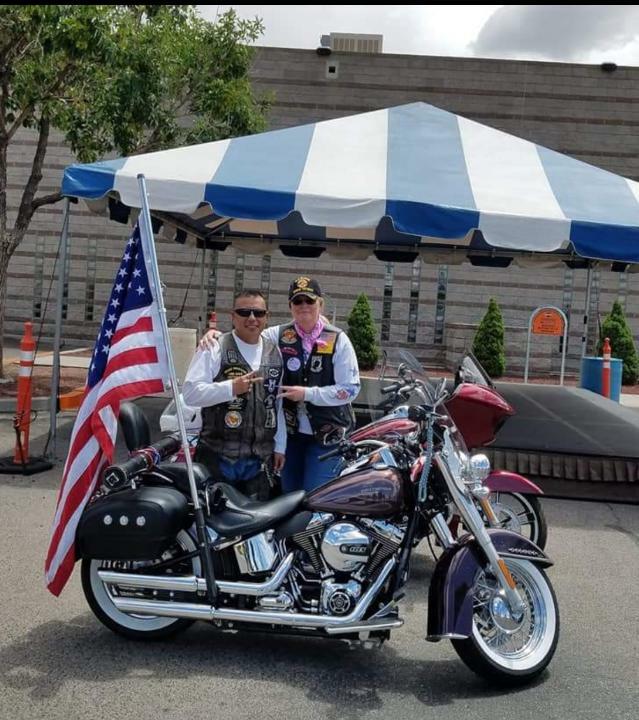 The New Mexico Army National Guard veteran has revved up his bike for Toys for Tots, a girl who was paralyzed in a car accident and hungry elders. And he's hit the pavement to raise awareness about the suicides of combat vets. 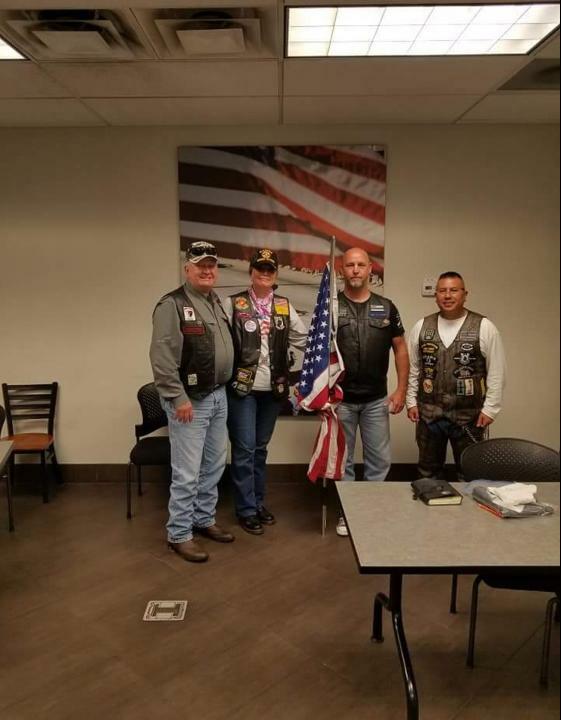 "Anything that pertains to veterans, I want to help," says the clean-cut Gallup resident who sports a trim leather jacket with patches that read "Iraqi Freedom Veteran," "Pow Mia" and "Jesus My Lord and Savior." A Red Arrow combat patch complements the story his jacket tells. 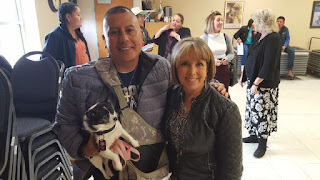 Now out of the National Guard with a medical discharge, Ramirez sat down in Albuquerque on a recent day for a lengthy interview that touched on the life challenges he's encountered. Along the way he's lived through two of the United States' foreign conflicts, worked with at-risk youth for the troubled New Mexico Children, Youth and Families Department (CYFD), endured a highly questioned anti-gang operation cooked up by the military brass, coped with PTSD, and been a plaintiff in a key legal case before the New Mexico Supreme Court. If it were not for the PTSD diagnosis, Ramirez assures he would still be in the National Guard, "because I loved it." A son who is now 27 followed his father’s footsteps into the National Guard as well. For purposes of this article, Phillip's story begins in 1991, when he enlisted in the New Mexico Army National Guard and was dispatched to Saudi Arabia. His mission was connected to the Patriot missiles deployed to counter Iraqi Scuds. At first an air defense specialist, the New Mexico enlistee also gained experience with the Chaparral missile and the Stinger missile, the U.S.-supplied weapon used by Afghan guerrillas with such deadly effect against the former Soviet Union. "I excelled in those," he recalls, proudly adding that "my team made Top Gun two years in a row." In 1997 Ramirez obtained employment as a Community Support Officer (CSO) with CYFD. His mission for the State of New Mexico was to work with young people on probation in and around the challenging border town of Gallup, which included excursions onto the Diné (Navajo) Nation, trips that sometimes took 45 minutes one way, he calculates. Ramirez is related by marriage to members of the Diné Nation. "I respected the kids and families. More than half of my clients lived out on the reservation," the Iraqi war vet adds. Ramirez says he enjoyed a good relationship with the CYFD hierarchy until 2004, when his immediate boss was replaced. Prior to that time, Ramirez ran a physical training program for young people in Gallup that he says had the green light from his supervisor and attracted interest beyond the offender group. Kids from rival gangs successfully played together in the team sports he organized, the 51-year-old Gallup native recalls. “I even got volunteers who weren’t on probation who wanted to join.” As part of his job, Ramirez maintained offices at two Gallup schools. During his time with CYFD, Ramirez handled thorny cases. He once encountered a child who had been beaten by his father, who turned out to be a Gallup police officer. The encounter led to pressure on Ramirez by members of the Gallup police force, he says. He remembers confiscating a gun from a young man on the Diné Nation but was practically stuck with the weapon since the Diné police were too "understaffed" to respond and the New Mexico State Police said the problem was out of their jurisdiction. In 2005 Phillip returned to the Middle East with the National Guard, this time as part of a specialized unit made up of individuals from across the Land of Enchantment, Task Force Cobra, which was assigned the job of escorting supply convoys, or "beans and bullets" as Ramirez puts it, along the ominously named Devil's Highway in southern Iraq. Not long before Ramirez arrived, two U.S. soldiers were killed in the vicinity by improvised explosive devices. "And it's like, 'okay, it's real,” reminisced the veteran. Task Force Cobra made national headlines when a scandal erupted over an Army operation that subjected Ramirez and nearly 60 other members of his unit to searches for allegedly having gang tattoos. Reportedly rising from the complaint of a Wisconsin soldier, the 2006 operation forced task force members to strip down to their shorts at a base in Kuwait. Then-New Mexico National Guard commander Kenny C. Montoya (currently an outgoing Bernalillo County Metropolitan Court judge) charged that Task Force Cobra was targeted because of the high percentage of Hispanics in the unit. As allegations of racism swirled out, New Mexico's Congressional delegation got involved, demanding the army look into the matter, the Albuquerque Journal reported. Then-Congressman Tom Udall was quoted in the newspaper calling the search "unfortunate and degrading." In 2007, U.S. Army Brigadier General Rodney L. Johnson issued an apology to Task Force Cobra members subjected to the search. Years later Ramirez is still taken aback by the incident, judging that his men were treated like "cattle" and forced to endure a humiliating ordeal because of the false allegations of a "self-proclaimed gang expert" from Wisconsin. Task Force Cobra was subjected to profiling, he says, "because the majority of us were Hispanic." "We're over there fighting for our country and we're considered the Latin Kings," he adds. The onetime member of Task Force Cobra regards the sudden departure of his captain to Qatar the day before the search as a “bizarre” event, leaving the New Mexico guardsmen "holding the bag." And he contends the apology by the military brass came up short because it did not recognize the unlawfulness of the action. For his record of service in the National Guard, Phillip was promoted sergeant and received very positive evaluations. In January 2007 he resumed working at the CYFD. At his civilian job, however, the returning guardsman was soon immersed in conflicts with supervisors over work schedules, office space, his physical fitness program, the daily work load, and the ability to care for his special needs daughter. According to the youthful-looking former CYFD employee, his boss expected him to do 25 "surveillance" contacts a day, meaning he had to drive by, spot and check off 25 clients in a day, or more than three per hour, without stopping to visit them. Considering the geographic area Ramirez had to cover and the isolated circumstances of some visits, the CSO regarded this as an impossibility. On one day, a supervisor shoved him in his office, he contends. "They wanted me to mess up at work," Ramirez says, and trigger "an angry outburst that never came." In October 2007, he was diagnosed with PTSD. For Ramirez, a clash developed between his desire to serve youth and their families and the CYFD's penchant for bureaucratic bean counting. "I wanted (young probationers) to succeed and give them another choice, the resources to get in the military, college, to find a job," Ramirez reflects. "I looked at them as a human being and I wanted them to succeed and CYFD looked at them as a number." Eventually, Ramirez was fired by CYFD and spent four years in precarious financial circumstances before receiving a medical disability from the National Guard. 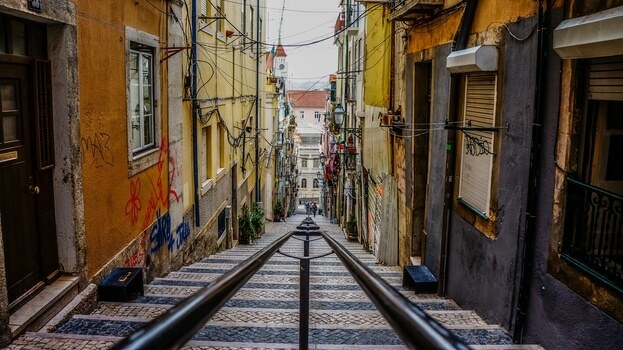 During this time he says he cashed out his 401(K) retirement account, "had garage sales," nearly lost the family home, and even experienced "suicidal thoughts." The union representing state employees did not help him and most lawyers he contacted wanted $10,000 up front, he says. Enter Albuquerque attorney Rosario Vega Lynn, who agreed to represent Ramirez in a claim against CYFD because his situation "seemed wrong." Prior to filing a lawsuit, Vega Lynn says she wrote a letter to then-CYFD Secretary Dorian Dodson but got no adequate response. 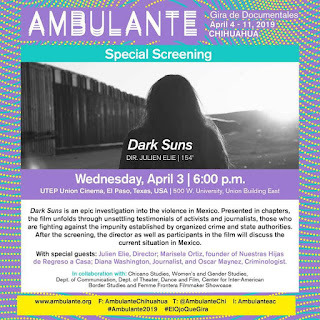 Initially filed in 2008, the lawsuit charged the CYFD and individual employees with violating the federal Uniformed Services Employment and Reemployment Rights Act of 1994 (USERRA), discrimination based on handicap/disability, violation of the Family Medical Leave Act, violations of the Americans with Disabilities Act, discrimination and retaliation in violation of the New Mexico Human Rights Act, and wrongful job termination. 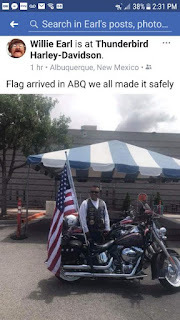 According to a summary of the Ramirez case posted on Law.justia.com, New Mexico lawmakers had extended the job-saving provisions of USERRA to members of the New Mexico National Guard who were on active federal or state duty for 30 or more consecutive days. Additionally, the defendants were accused of common law conspiracy, assault and battery, intentional infliction of emotional distress, and other acts of wrongdoing. Vega Lynn says CYFD officials erroneously concluded that Phillip was a potentially violent individual prone to shoot up the office with an AR-15 rifle, even though no written complaint was filed to that effect. She contends PTSD "paranoia" was invoked to justify his firing for insubordination. The Duke City lawyer is sensitive to media coverage stereotyping violent acts, veterans and PTSD, such as in the recent case of the former Marine who murdered 12 people in Thousand Oaks, California, before taking his own life. "PTSD doesn't automatically mean a dangerous individual, and I think that's a national issue...," she says. Phillip's legal case had a long and complicated history, but the short version of it has him initially winning in New Mexico District Court, next suffering a reversal on the State's appeal and ultimately triumphing in a 2016 ruling by the New Mexico State Supreme Court, a victory Vega Lynn describes as the first test case of USERRA in New Mexico. Two separate USERRA cases were pursued after Ramirez’s initial victory, but the plaintiffs settled after the Gallup veteran suffered the temporary Court of Appeals loss, according to the lawyer. “They tried to revive those after we won before the NM Supreme Court but the judge rejected their efforts,” she adds. A diverse cast of supporters filed friendly legal briefs for Ramirez in the New Mexico Supreme Court, including the Reserve Officers Association, Samuel F. Wright, of Washington, D.C., then-U.S. Attorney, Damon P. Martinez, the Department of Justice's Civil Rights Division and the American Civil Liberties Union of New Mexico. In a historic decision, the New Mexico Supreme Court found that state lawmakers had in fact incorporated USERRA into the state’s statutes and applied it to National Guard service. Yet Ramirez and Vega Lynn say there is much unfinished business regarding the USERRA and New Mexico, namely the enactment of implementing rules, or personnel policies, of how the law will be followed at both the state and municipal levels. In addition, "The City has also taken an extra step formalizing military leave benefits for reserve members serving at Albuquerque Fire Rescue and APD," Salazar added. But Vega Lynn and Ramirez want the USERRA law codified across state agencies, and they are looking to both the incoming state legislature and newly-elected governor Michelle Lujan Grisham for action. "The new government definitely needs to order the State Personnel Office to implement some rules immediately, so veterans can feel confident that when they return they will get their jobs back," Vega Lynn asserts. Changes at CYFD? While the legal proceedings of Ramirez vs. CYFD stand as a fascinating and revealing chronicle, the litigation’s back story not only makes for a compelling study in the ability of aggrieved employees- especially those with military service- to get a fair hearing, but in the interaction of elected representatives with the CYFD and the management and accountability of the state agency legally responsible for overseeing the well-being and rehabilitation of New Mexico's neglected, abused or wayward youth. Given the numerous scandals which have rocked the CYFD in recent years, the Ramirez case stands as another red flag fluttering over a system in big trouble- and with serious consequences for the young people it is supposed to protect. According to Ramirez and Vega Lynn, politicians contacted at one time or another about the National Guardsman's problems with the CYFD included former Gov. Bill Richardson and his successor Susana Martinez, State Representative Patricia Lundstrom, State Representative Jim Dines, and others. Vega Lynn says she assumed her client had a fresh chance after Martinez assumed the governorship in January 2011, but the new administration "doubled down" in its legal appeal. Ramirez credits Lundstrom for showing genuine interest in his case, saying, "Every time I see her, I thank her." The veteran’s court battle inevitably dug through the CYFD'S organization and chain of command, casting light on tidbits of information Vega Lynn found curious, such as revelation that an arguably understaffed Gallup CYFD office reported to the one in San Juan County (Farmington) instead of directly to Santa Fe or that Ramirez's supervisor, an Anglo man from out-of-state, declared in a deposition that his main experience with Native Americans came from reading Tony Hillerman novels. In May, Ramirez spoke with New Mexico Governor-elect Michelle Lujan Grisham, briefly relaying to the then-campaigning politician his story. Based on his recollections, the veterans' advocate says Lujan Grisham vowed she would look into the matters he raised. To say that Vega Lynn is not impressed by CYFD is more than an understatement. "It's a terrible place to work, and I get calls from people who work there," she says. Vega Lynn and Ramirez maintain that simply more money won’t solve the CYFD's crisis. Instead, they propose radical surgery. The CYFD needs to be dismantled, Vega Lynn argues, and "torn down and cut into two or three different departments." Until now, CYFD officials haven't been accountable for the problems plaguing the agency, she says, and instead “blame the social worker. Whenever have you heard CYFD take responsibility?" Ramirez sounds a similar note: "I think our leadership needs to do some unannounced field visits to see what's going on...because (officials) take the word of supervisors that everything's okay." The CYFD's child protection responsibility should be separated from its juvenile justice mission, he continues, because the two functions are different “animals." Although Ramirez won his battle with CYFD, the former youth services professional "really misses his job, Vega Lynn says. Ramirez also expresses concerns with limitations in the state's National Guard retirement policy, the fate of his comrades in arms from Task Force Cobra, the health of veterans with PTSD, and the futures of young people in New Mexico. "Just accommodate those soldiers that need help," he urges. "There's going to be some soldiers who are going to be returning with PTSD, or are hurt, and they need to accommodate those soldiers." As always Ramirez remembers his brothers in Task Force Cobra, half of whom didn’t show up for a reunion back in 2010, he says. “I’ve lost five soldiers,” including at least two from suicides, he laments. One man apparently leaped off a bridge in Washington state and his body wasn't immediately recovered. "It hurts," he admits. According to Ramirez, PTSD has different symptoms for each individual, with anxiety, depression, sleep disorders, and feelings of isolation constituting common ones. He credits a 19-day day Veterans Administration program in Tucson for helping him cope with the disorder and periodically visits Albuquerque to receive counseling from the agency. Phillip's assessment? "Counseling is real good and there is better scheduling for the veterans. It's getting better but sometimes you have appointments that are (far away) and it can really make a difference in a veteran's life." Nowadays, the New Mexico National Guard veteran enjoys his relationship with his 23-year-old daughter, who has special needs. "She's just wonderful. I take care of her but she takes care of Dad, too," he says proudly. "She gets smarter and smarter every year." As the changing colors of a chilly New Mexico autumn alter the landscape, the fit 51-year-old stays active. He straps on his leather, mounts that sleek and fast Harley and cruises onto the next New Mexican highway ready to support the next event he considers a good cause.